Okay. It’s dinner time. You stare longingly into your pantry hoping for some inspiration and all you see is a bag of potatoes. What’s a mom to cook for dinner with those? Let me help! There’s a lot of yummy things you can do with potatoes, as long as you have a few other basic ingredients on hand. 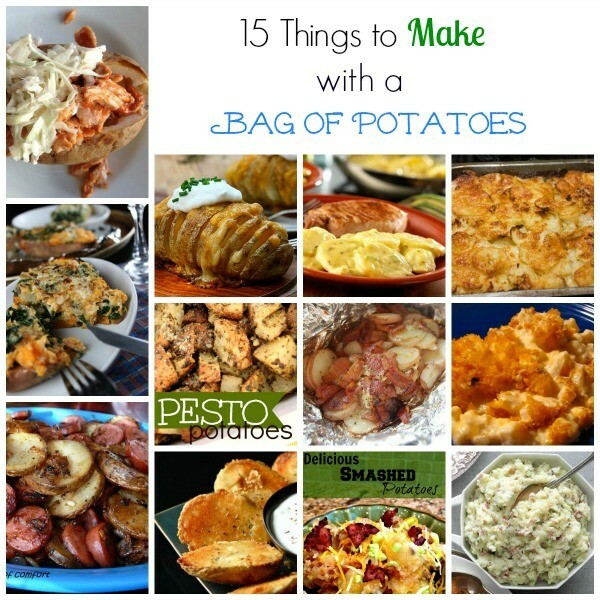 From baked potatoes, to smashed potatoes, to roasted potatoes – you can even make them the main dish. Remember, you don’t have to have meat at every single dinner. We sure don’t.